Come along and visit the indoor car boot sale here at Ankerside Shopping centre on the first Sunday of every month. 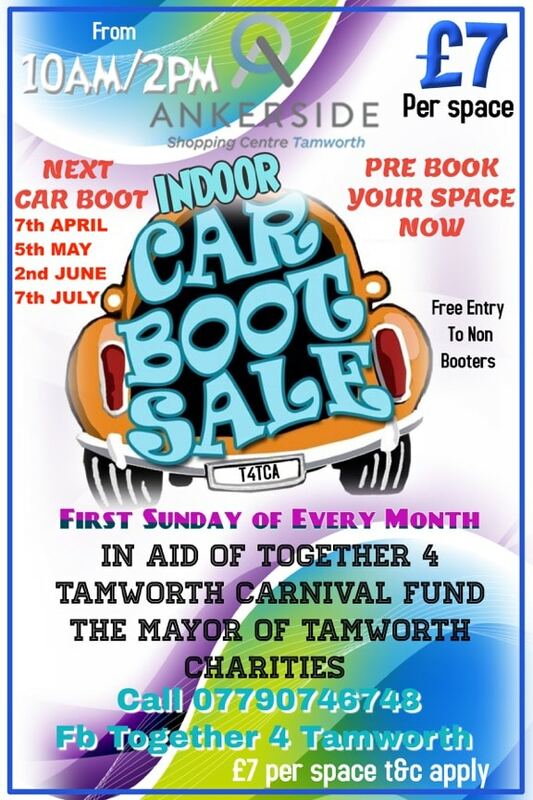 All proceeds raised from our monthly car boot will go to the Together 4 Tamworth carnival fund and the Mayor of Tamworth charities. Call 077907 46748 for more information and to pre-book your space now.